When you visit your eye doctor for a regular check-up, part of your general eye exam includes a retinal exam. Checking the lining of the back of your eye is so important for many reasons. Did you know that the retina is the only place in your body where blood vessels can be seen without performing any invasive procedure? Why is this important? Your retinal blood vessels can tell your doctor about more than the condition of your eyes. 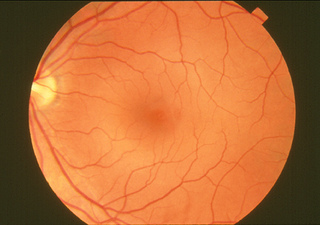 Signs of other diseases such as diabetes, high blood pressure and heart disease can be detected by examining the retina. Thanks to new technology, called digital retinal imaging, eye doctors can see even more of your retina and can now save a digital image.